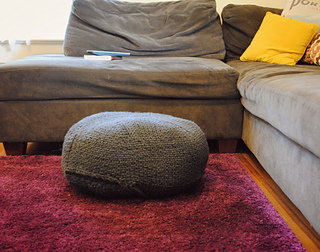 A zafu is a thick, round meditation cushion, ideal for sitting on the floor. This Asian-inspired cushion is ideal for the couch, for use as an ottoman, or for additional floor seating. Hardwearing Navajo-Churro rug yarn works well if you’d like a cushion that lasts. Purchasing this rug yarn helps maintain the Navajo-Churro sheep, king of the Southwest rug tradition and a rare breed sheep. Knit in the round, you build this cushion as you go and choose how tall to make it, how to stuff it, and even the perfect buttons. This yarn comes from Cerro Mojino Woolworks and is produced by Connie Taylor. 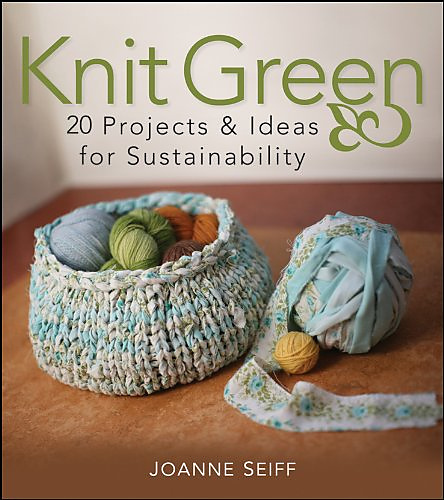 Here’s a link to more information about her yarns and efforts at supporting Navajo-Churro sheep.